SapientNitro's sale to Publicis Groupe last year has had a big effect on the agency but also, it seems, on the holding company. Claire Beale meets the men putting technology at the heart of their business. In the past year or so, SapientNitro has begun to win the sort of business that used to be the preserve of advertising agencies – from Tesco Mobile to HTC and, last week, Nikon’s European integrated brief. After years as the socially awkward geek at the creative advertising party, Sapient seems to be getting the hang – slowly, slowly – of this advertising game. Being part of the mighty Publicis Groupe after it was acquired last year for £3.7 billion no doubt helps. But is Sapient (of which SapientNitro is the largest chunk, with Sapient Global Markets and Sapient Government Services making up the rest) starting to change Publicis Groupe every bit as much as Publicis Groupe is reshaping Sapient? When Publicis Groupe unveiled its half-year profits in the summer, it was proud to reveal that digital now accounts for more than half of total revenue. Publicis.Sapient is now about a third of Publicis revenues and people globally, and it’s the single-biggest entity within Publicis Groupe. And as Publicis’ advertising agency networks fight to remodel their own offer to better embrace technology, how really does SapientNitro fit into the jigsaw? 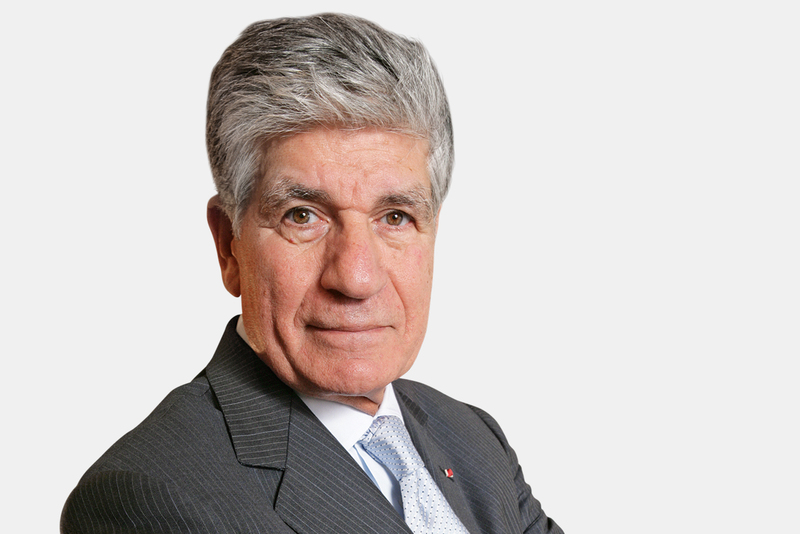 Campaign sat down with SapientNitro’s recently promoted global chief strategy officer, Nigel Vaz, and Publicis Groupe’s chairman and chief executive, Maurice Lévy (see below), to examine what the acquisition has meant for both sides so far. It has been more than a year now since Sapient sold to Publicis Groupe. Is the rationale for the deal still clear? Our ambition was always to change the world – now it feels like it can happen in a much more accessible time frame. Publicis has been around for 90 years and has such deep and long relationships that it is genuinely interested in transforming; the combination of Publicis’ relationships and our way of thinking and capability is a great match. Because of Publicis, we now have the ability to impact a far greater range of companies and, in turn, consumers. What practical changes have you experienced? We are working a lot with our sister companies – particularly Bartle Bogle Hegarty – and so we’re learning more about what "good" looks like in their space. And now we’re part of Publicis Groupe, our sister companies are starting to introduce us to their network of contacts and we certainly see what we were missing by being on the outside. You don’t realise how many people there are in some of these groups who are all thinking about the same thing. So if you’re in a pitch and you’re independent and on the outside and doing it by yourself, however good your network is it’s no match for 60,000 other people who can help you build connections. That stuff has been really good. So now you’re part of Publicis Groupe, should you be leaving the creative marcoms to the traditional agencies? That’s a really good question, but the answer is: we don’t want to do everything. But we do want to prove the thesis that SapientNitro was always built on: that the worlds of communication and experience and technology are coming together. So what we can’t do is stop doing that. I don’t think we’ll necessarily look across our entire portfolio and say: "For all of this, we want to do what BBH does." But we do want to have a very credible footprint in the communications space because the world of communication and experience are coming together and who better than us to pioneer that? In a few years’ time, as everything becomes more integrated and connected, maybe this will just be what everyone is doing, but we’ll have had a head start. So where does that leave Publicis Groupe’s other digital assets such as DigitasLBi and Razorfish? Publicis.Sapient was created to aggregate all of Publicis’ digital capabilities under one umbrella with a common operating platform. So you might have multiple front ends but we’re going to connect capability. Eventually, there might be some decisions made about the brands but, for now, the idea is that they start working as one connected entity to build the world’s largest digital platforms. But if you’re Publicis Groupe, does it make sense for all of your brands to try to have all of this capability? Aren’t you just overinvesting that way? It depends very much on whether you think that saying "You do this and you do that and I will join these things up" is the right strategy or whether you think the right strategy is that everyone should morph a little bit, and at least build the docking stations. So today, us and BBH can be docked together to work on a particular client because there are at least some people on the other side of the wall who speak the same language and understand the same principles. We’re in the phase right now where I don’t think you should stop the organic evolution of these companies. You’ve talked before about being seen to be outside the mainstream UK advertising industry. Do you feel like you’re inside now? The consulting, technology, digital and creative agency sectors are now starting to find themselves part of the same community, and we’re starting to find ourselves in the middle of that. We’re never going to be seen as like Adam & Eve/DDB or BBH, but neither are we Accenture. We’re the thing in the middle that has enough of this and enough of that that people can kind of get what we’re about – and that has made it easier for us; the market has moved more towards us. How do you design a creative culture when so much of what you do is tech build or consultancy? Yes, we have all the global systems that allow us to run a big, efficient international organisation. But we have people here who’ve come from McKinsey and Bain and Accenture, and they see us as free-wheeling, unstructured. We also have very creative people and clients who maybe think there’s a lot of structure and process here because we’re working on lots of very large, very complex transformations. Culturally, we sit in the middle. How do you help your people stay ahead in such a rapidly changing, technology-led world? We have some almost MBA-level-quality training programmes to help our people adapt to our changing business. One is called The Chief Marketing Technology Officer University, which we figured our clients were going to be getting into. Our CMTO class of this year probably comes from 15-17 countries and they have spent time in as many countries, understanding what the relationship is between the chief marketing officer and the chief technology officer in Singapore versus China, Chicago or Germany. And we’re educating our clients on how their jobs are changing too. We take our technologists who don’t come from a marketing perspective and allow them to apply their experience of transforming other areas of a client’s business to marketing. And our creatives and planners go through the reverse – to help them understand not only the brand they’re advertising but how to transform the guts of that organisation, how it does business, manage stock levels and so on. We’ve been investing in global programmes so our people have that breadth of perspective. Alan Herrick, the president and chief executive of Sapient, has been touted as a potential successor to Maurice Lévy. What do you think about that? Obviously, I can’t comment on any of that, but Alan is a very capable leader. Sapient was a public company with investors and a stock-market listing that he managed to grow when he was the chief executive from about $600 million in market cap to $3.7 billion at the time of acquisition. So he definitely gets what it means to run a large global public company. And he currently runs a group that’s a third of Publicis Groupe, its single biggest entity and the place where I can imagine a lot of the Groupe growth will come from in the future. There are very few people who match up to that level of experience. Whether he wants to do it or will have the opportunity to do it is for other people to judge. When we acquired Digitas in 2006, I had done a lot of homework on Sapient and considered that Sapient was too much technology, too much e-commerce and not enough advertising and communication. So we were not ready for such an acquisition. But when we sat down with Alan Herrick and really started talking in 2011, I was pretty sure that advertisers would need to do three things: they would all have e-commerce platforms – they wouldn’t have any choice; they would need some technological platform for managing and transforming their marketing tools; and they would have to reinvent and transform themselves and the way they worked with agencies and platforms. So that was my pitch back to Herrick in 2011 and it hasn’t changed. From then on, we had lunch every six months or so, often at Bank of America either in London or New York. And we were building a relationship and trust and confidence. As soon as the dust settled on the end of the Omnicom deal, we opened talks with Sapient. It’s going extremely well. There are three interesting aspects. The first is the most important: that clients see the strategic benefits. On that front, I am amazed every time I speak to a client about Sapient – they want to see them immediately. That’s fantastic. The second is that there is a great fit between Sapient and ourselves – it’s a nice combination that is working extremely well. The third is that this is transforming radically the kind of service that we are rendering to our clients. So it’s the right strategy for the clients, it’s very good in terms of team spirit, the way things are combined etc, and it is quite remarkable in terms of the next step for Publicis and our transformation. We are used to change and we are dead serious about transformation, about how we are going to tackle the issues of the future and how we are going to take our clients to the future. This in no way means that we are not going to invest in creativity and that we are not going to devote a large share of our time to creativity. Our objective is that combination – which can seem ridiculous to some people – of IQ [intellectual] plus EQ [emotional] plus TQ [technological] plus BQ ["bloody quick"], powered by CQ [creativity]. And this is the equation of the future, and that is what we’re trying to solve. And thanks to the fact that I’m not bad at maths and I have been working quite hard in technology, maybe I will add a small contribution to that type of solution.